Even with a small garden its possible to grow a few vegetables, whether it be runner beans up the fence or a few herbs in a plant container but you may wish to expand. Allotments are a great way of producing a wide range of healthy fruit and vegetables at a relatively low cost. They are also a great way to relax and unwind from the stresses of modern living and provide an excellent form of exercise for people of all ages and abilities. How do I apply for an allotment plot in the village? The Parish Council currently manage 10 allotment plots on the one hectare Green Road site. Half plots may also be available. Only residents who live in the parish of Eye may apply for a plot. For further information or to apply for an allotment plot please contact the Parish Council. There is a waiting list if all the plots are currently occupied. While it’s exciting taking on a new allotment, it can also be very daunting. There is a wealth of information on the internet which can help but don’t expect miracles in your first year, it may be a matter of trial and error but as a new allotment holder, you will quickly develop new skills and knowledge. 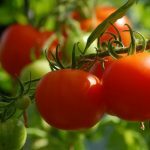 Reading a book on the subject may help – Your allotment: the essential guide to creating and keeping a rich and fruitful plot and Grow your own veg & fruit year planner are both available in local libraries but there are many books out there. A top tip is to keep your own notes and take photos of your plot throughout the year. It can also help to divide your plot into sections. To start you will need a few tools. A spade, fork, trowel and garden hoe are pretty essential, these can sometimes be picked up at car boot sales. Good work gloves are also recommended. You can grow vegetables from seed but there are companies that can supply small seedling plugs or cells, but they do generally cost more. Crop rotation is an important method of optimising the growth of vegetables as it helps reduce a build-up of crop-specific pests and diseases. 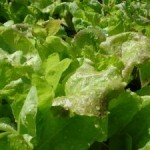 Plus different crops take different levels of nutrients from the soil. A basic principle is not to grow the same thing in the same place for two years running. 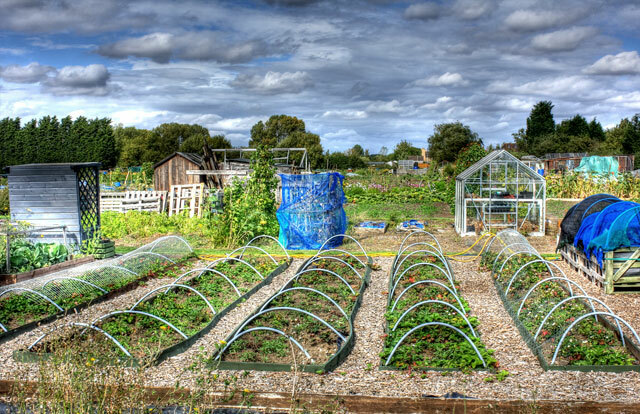 The National Allotment Society (NSALG) is the leading national organisation upholding the interests and rights of the allotment community across the UK. Allotment advice from the Royal Horticultural Society. At a minimum keep a first aid kit handy, make sure your tetanus is up to date and wash your hands after any gardening activity. An informative video below from the Brighton & Hove Food Partnership that may be useful to new or aspiring allotment holders. The quality of farmland around Eye varies from good to excellent.